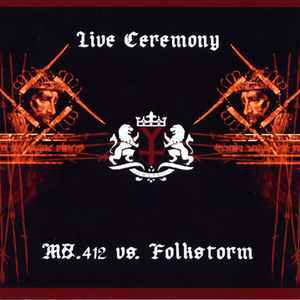 Tracks 1-7 recorded live at the MS "Stubnitz" in Rostock during "Collapse"-Festival, August 18th, 2000. Track 8 and 10 are taken from "The Culturecide Campaigns" CD-r by Folkstorm. Track 9 is previously unreleased, recorded at Studio Stalin, May 2000. Edition limited to 412 copies. CD comes inside a jewelcase; including an eight-page booklet.